Brooklyn’s Park Slope South has a vibe all its own, with a much slower pace than busy Park Slope. A few local spots that capture the feel of Park Slope South are for example Roots Café, located at 639A 5th Avenue. Roots Café is the South Slope’s meeting place for artists and writers. Great coffee is served as well as breakfast and lunch options all day long. Another great South Slope find is m.a.e. a vintage clothing and consignment shop located at 461 7th Avenue. M.a.e. is chock full of designer finds. You may develop an appetite in your trek around South Slope and Café Steinhof is the perfect restaurant to have a bite and brew. You can dine on weiner schnitzel, cheese spaetzle, a great sausage selection and more. The residential real estate market in the South Slope is hot with high demand for housing in this wonderful Brooklyn, NY neighborhood. The best way to describe Boerum Hill, the gem of a Brooklyn, NY neighborhood is the perfect blend of historic homes and modern Condominium buildings, affluent, but with a laid back vibe, having a very familial atmosphere with many great restaurants, lively cocktail lounges and unique independently owned specialty stores along Smith Street and Atlantic Avenue. Real Estate values in Boerum Hill are high with strong demand and a limited supply of available properties. More and more New Yorkers are being drawn to this quiet, pristine area every day. There are excellent connections to the rest of the city via the A, C, F, G, 2, 3, 4 and 5 trains at the Atlantic Avenue Barclay Center subway station. Victorian Flatbush, Brooklyn NY has the largest number of Victorian style homes in the entire USA. Victorian Flatbush is comprised of 11 neighborhoods off the southern edge of Prospect Park, including Ditmas Park, Fiske Terrace and Midwood Park. There are approximately 2,000 to 2,500 Victorian, Queen Anne, English Arts & Crafts, Renaissance Revival, Tudor, Greek Revival, Colonial Revival, Georgian Revival and Japanese Cottage style homes. Victorian Flatbush is not a cookie cutter home type neighborhood and has retained it’s charm because of it’s diversity of distinct architectural styles. As you walk down the lush tree lined streets you can marvel at the beauty of these homes and the history behind them. Until now, only Prospect Park south, Albemarle – Kenmore Terrace and Ditmas Park have Historic District status. There are 6 local groups who are representing the undesignated and unprotected homes in the neighborhoods of Beverly Square East, Beverly Square West, Caton Park, Ditmas Park West, South Midwood and West Midwood and are seeking official NYC Historic District designation for their neighborhoods. 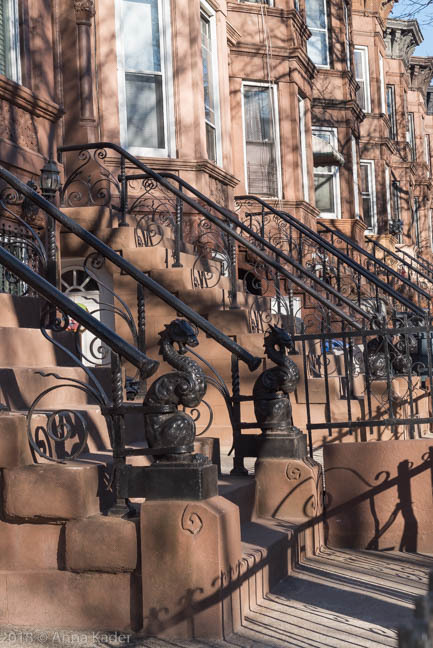 Brooklyn’s Windsor Terrace is one of the city’s most cherished and tightly knit residential neighborhoods. 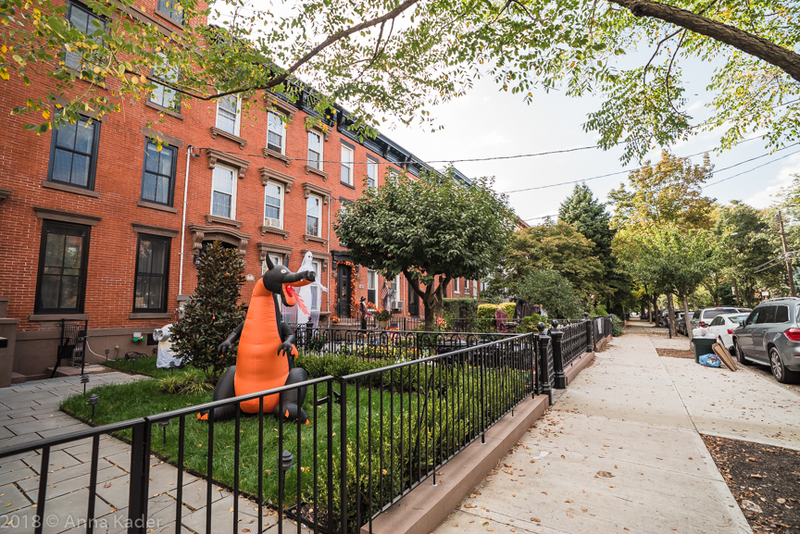 The tranquility, charm and house pride makes Windsor Terrace a great choice for families to live. Few neighborhoods have access to so much green space as Windsor Terrace with Prospect Park and Greenwood Cemetery nearby. P.S. 154 The Windsor School located at 1625 11th Avenue, serving grades K-5. P.S. 130 The Parkside School located at 70 Ocean Parkway, serving grades Pre K, K-5. Subway service into Manhattan is via the F and G trains at the Fort Hamilton and 15th Street Prospect Park train stations. The small town feel of the quiet streets in Windsor Terrace are lined with brick, limestone and wooden clapboard townhouses. There are some Co-op apartment buildings and rental buildings as well as some Condominium buildings. Church of the Holy Apostles - 621 Greenwood Avenue ( between East 7th Street and Prospect Avenue), built in 1891-92. A new hotel is coming to Stuyvesant Heights in Bedford Stuyvesant, Brooklyn New York. The planned 7 story, 49,199 square foot building will use 37,168 square feet for hotel space for 154 rooms. The hotel will be located at 9 Patchen Avenue, between Kossuth Place and Van Buren Street. Moris Yero shalmi of ABCNY is the project owner and Robert Bianchini of ARC Architecture is designing the project. Downtown Brooklyn, NY is one of the 3 largest New York City’s CBDs (central Business Districts). The neighborhood is continuously developing and the number of upscale high rise apartment buildings is growing. Brooklyn Point being developed by Extell, is one of the tallest buildings being built right now. The building is planned for 720 feet in height and the 49th floor is now taking shape. The project architect is SLCE Architects and the design is by Kohn Petersen Fox. Building interiors will be designed by Katherine Newman and the private outdoor landscaping is being created by MNLA. Brooklyn Point is the final part of the City Point complex of 3 buildings which have residential units, the Dekalb Market Hall, Alamo Drafthouse cinema, Target, C21 Department Store, Trader Joe’s and multiple small retail shops. There is easy access to the Dekalb Subway station where you can access the B, Q and R trains. Bay Ridge is located in the Southwest corner of Brooklyn, New York. Surrounding neighborhoods are Sunset Park on the North, Dyker Heights on the East, the Narrows and the Belt Parkway on the West and Fort Hamilton Army Base and the Verrazano Narrows Bridge on the South. Bay Ridge is a 3 square mile community overlooking New York Harbor and has the convenience of the city and the feel of a small town or modern day Mayberry. Many of the streets have attached one and two family beautifully kept row houses, some with backyards and private or shared driveways. There are also detached single family homes of the Colonial and Tudor style, condominiums and Coops. Along Shore Road, six story apartment buildings are the neighborhoods tallest buildings. Rezoning in 2005 preserved the low elevation of the housing stock. There is a 58 acre Shore Road Park which extends from Owl’s head Park south to Fort Hamilton and has a 2.5 mile path for walking, jogging, and rollerblading. Many people go fishing on the American Veterans memorial Pier at 69th Street. 86th Street is a commercial thoroughfare with chain stores and banks. 3rd Avenue and 5th Avenues have local shops, boutiques, restaurants and bars. Mill Basin is located in South Brooklyn, NY and is a residential neighborhood on a peninsula along Jamaica Bay. Neighborhood boundaries are Avenue U to the North, East and South and by Mill Island inlet to the West. 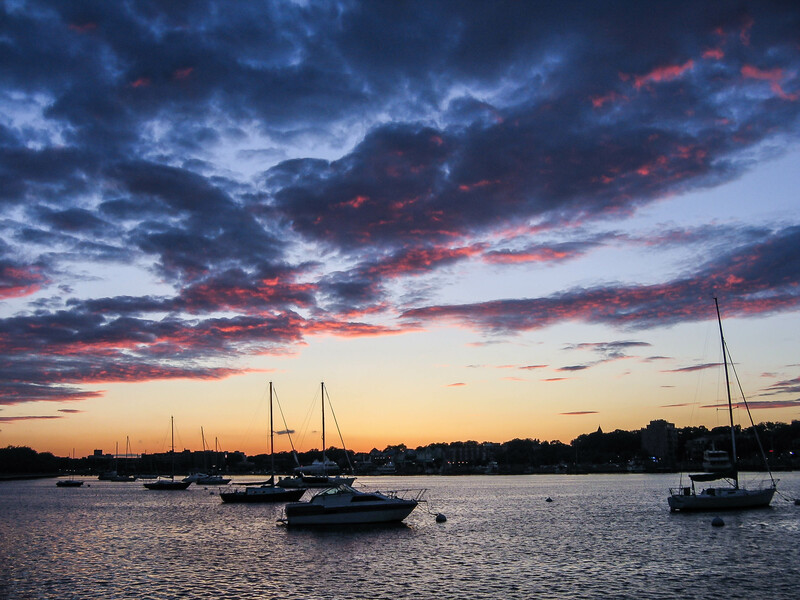 Mill Basin is home to boaters and sun lovers. Some visitors liken the neighborhood to Miami. Others love the greenery and birdsong of Mill Basin which can feel like New Jersey or Westchester County. Mill Basin does not have the look and feel of Brooklyn, but it’s residents are Brooklyn proud. Mill Basin is home to The Mill Basin Marina located on Avenue Y and East 69th Street and is a full service Marina that has been serving boaters for 50 years. In this blog we will combine the 2 incredible waterfront Brooklyn NY neighborhoods of Dumbo and Vinegar Hill. While each neighborhood being very distinct, they are very close and flow into one another. Dumbo is short for Down Under The Manhattan bridge Overpass and is split into two sections, one located between the Manhattan and Brooklyn Bridges and another that continues east to the Manhattan Bridge to the Vinegar Hill area. Neighborhood boundaries are Brooklyn Bridge Park to the North, The Brooklyn Bridge to the West, Brooklyn Heights to the South and Vinegar Hill to the East. Greenwood Heights is a great Brooklyn, NY neighborhood with open green spaces, eclectic housing with several different lifestyle options and a booming bar and restaurant scene. Greenwood Heights takes it’s name from the beautiful and historic Greenwood Cemetery where nature lovers can bird watch and enjoy walking trails. Greenwood Heights borders are approximately Prospect Expressway to the North, Gowanus Canal to the West, 8th Avenue to the East and 39th Street to the South. 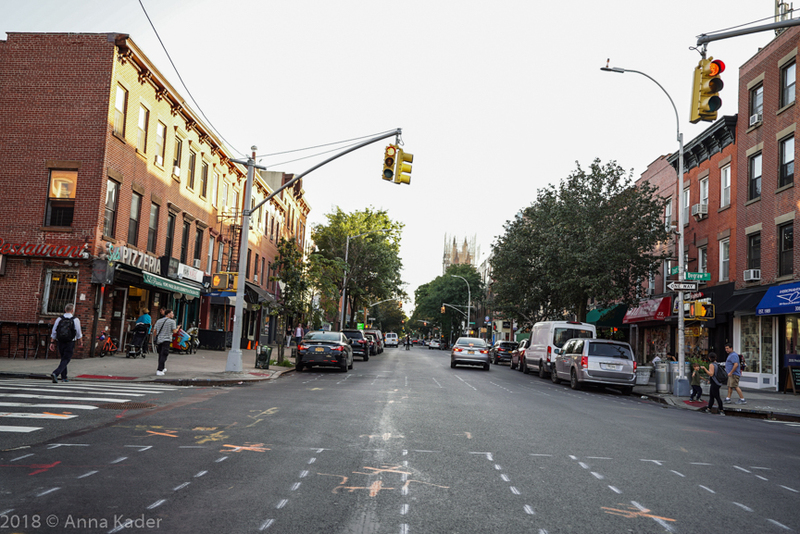 The surrounding neighborhoods to Greenwood Heights are Windsor Terrace, sunset Park and Park Slope South. Train service into Manhattan from Greenwood Heights is on the D, N and R lines at 36th Street and 4th Avenue. Marine Park, Brooklyn NY is a scenic, quiet and close knit, yet a thriving neighborhood with Real Estate values higher than ever. Walkability that is most important to Marine Park residents is the walk to their beautiful, multi activity, wild and largest public park in Brooklyn, NY. Brooklyn New York neighborhoods have a rich history and Flatbush is no exception. In the early 1900’s Flatbush was a very swanky neighborhood with expensive retails shops and upper class residents. Today’s Flatbush is one of the city’s most vibrant and diverse neighborhoods. Actually Flatbush is comprised of 12 small communities including Prospect Park South, Ditmas Park, Fiske Terrace, Wingate, South Midwood, Midwood Park and West Midwood. Neighborhood boundaries begin at Parkside and Ocean Avenues at the southwest entrance to Prospect Park, includes some of Coney Island Avenue and spans east to Nostrand Avenue and Kings Highway. Views from each Reservation park (Lindy Park)of Lower New York Harbor and the Verrazano Bridge. For those who live in Sea Gate, Brooklyn NY, a private gated community at the far western end of Coney Island, with four and a half miles of winding tree lined roads, the beach is the biggest magnet. The farthest that a Sea Gate resident needs to walk to get to the beach is three to four blocks and there is never a problem of where to put your blanket. Sea Gate is surrounded on three sides by water with private beaches. In addition to the private beaches, there are two parks: A playground with a basketball court next to Sea Gate Community Center on Surf Avenue and Beach Reservation which extends before and beyond Norton’s Point and consists of a sandy/grassy patch of land with views of Lower New York Harbor and The Verrazano Bridge. There is also The Sea Gate Beach Club, a popular summertime spot for many families. Manhattan Beach, Brooklyn NY almost completely surrounded by water is much more about tranquility than walkability. This quiet, sleepy area has the feel of the suburbs with many tree lined blocks and grassy lawns. Manhattan Beach was developed as a premiere resort destination for the city's upper middle class and wealthy elite with the famous, lavish and grandiose Manhattan Beach Hotel built in 1870 and followed by the even more grandiose Oriental Hotel built in 1880. In 1916 the Oriental Hotel was torn down and the land was sold for residential development. The Manhattan Beach streets are named in alphabetical order from A to P (Amherst, Beaumont, Coleridge, Dover, Exeter, Falmouth, Girard, Hastings through to Pembroke) with the exception of the Ocean Avenue. The Manhattan Beach peninsula is narrow and there are only three places to live, the bay block, the middle block and the ocean block. There are 8 ocean blocks and all are dead end streets with no thru traffic. Many of the homes on these ocean blocks are the most expensive in the neighborhood. Manhattan Beach is hugged to the south and east by the Atlantic Ocean and to the north by Sheepshead Bay and Brighton Beach to the west. Brooklyn Heights, Brooklyn NY was the first landmarked neighborhood in New York history as well as the first suburb in America. 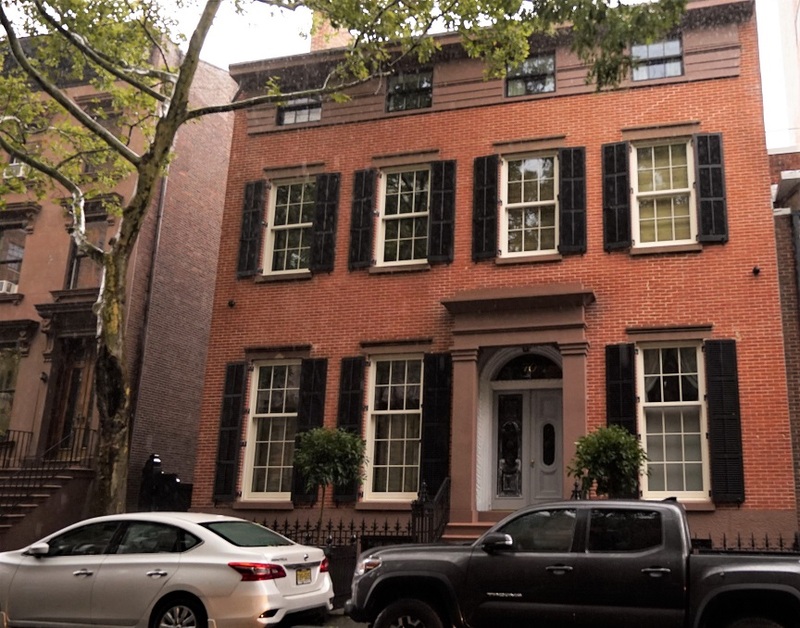 Some past Brooklyn Heights residents were Truman Capote, Arthur Miller, Norman Mailer and Walt Whitman. Neighborhood boundaries are Atlantic Avenue to the South, Cadman Park and Court Street to the East, East River to the West and Old Fulton Street to the North. Brooklyn Heights is next to the Industrial hip neighborhood Dumbo and Booming Downtown Brooklyn and still maintains it’s old world small town charm within a big city. Fort Greene is truly a gem amongst Brooklyn New York neighborhoods. Named after major general of the Continental Army in the American Revolutionay War Nathanael Greene, Fort Greene is listed on the New York State Registry, the National Register of Historic Places as well as a designated Historic District in NYC. Fort Greene is located in Northwest Brooklyn and has elegant tree lined blocks of gorgeous, beautifully kept, Brownstone, Brick and Frame homes. Fort Greene's neighbors are Clinton Hill, Downtown Brooklyn and The Brooklyn Navy Yard. The Western edge of Fort Greene is now the Brooklyn Cultural district, home to The Brooklyn Academy of Music (BAM), Polonsky Shakespeare Center, 651 ARTS, BRIC House and The Mark Morris Dance Center. The energy, vitality, innovation, creativity, family oriented and diverse Fort Greene epitomizes what Brooklyn is today. Today’s residential real estate market in Fort Greene is expensive and in high demand. In some ways Fort Greene is the Lincoln Center of Brooklyn. 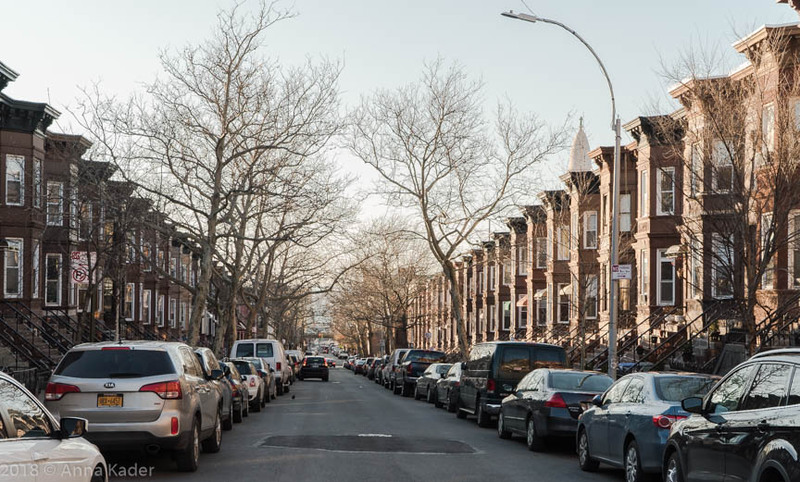 Midwood, Brooklyn NY is known to be home to many religious Jewish families, but steadily growing in popularity for all young families in search of an affordable housing alternative to other expensive Brooklyn neighborhoods. Besides the lifelong New Yorkers who moved to Midwood the neighborhood has a mix of recently arrived immigrants including Chinese, Turkish, Pakistani, Polish, Russian and others. Midwood is located in South Central Brooklyn. Midwood is bordered by Avenue P & Kings highway on the South, Avenue I and The Brooklyn College campus to the North, Nostrand Avenue to the East and Coney Island Avenue, parts of Mc Donald Avenue and Ocean Parkway to the West. Midwood is a home for Brooklyn College, a senior university of the City University of New York. A unique and wonderful lifestyle of being an Oceanside neighborhood, rich and diverse culturally is what Brighton Beach, Brooklyn NY has to offer. My maternal grandparents, my family and I spent some wonderful years, when I was a young child, living in Brighton Beach. Located in South Brooklyn, Brighton Beach has world famous Coney Island to the West, Manhattan Beach to the East, Sheepshead bay at the Belt Parkway to the North and the Atlantic Ocean to the South along the beach and Boardwalk. Sunset Park is a beautiful, diverse and exciting Brooklyn neighborhood that is evolving rapidly into a top choice for people to live and come to enjoy all that the area has to offer. Sunset Park is located in Southwest Brooklyn, NY. Many of the areas blocks have homes that are listed on The National Registry of Historic Places as a historic district. Sunset Park has the largest historic district in the NRHP in the Northeast United States. See our blog dated March 22nd 2017 for more information on historic Sunset Park homes. 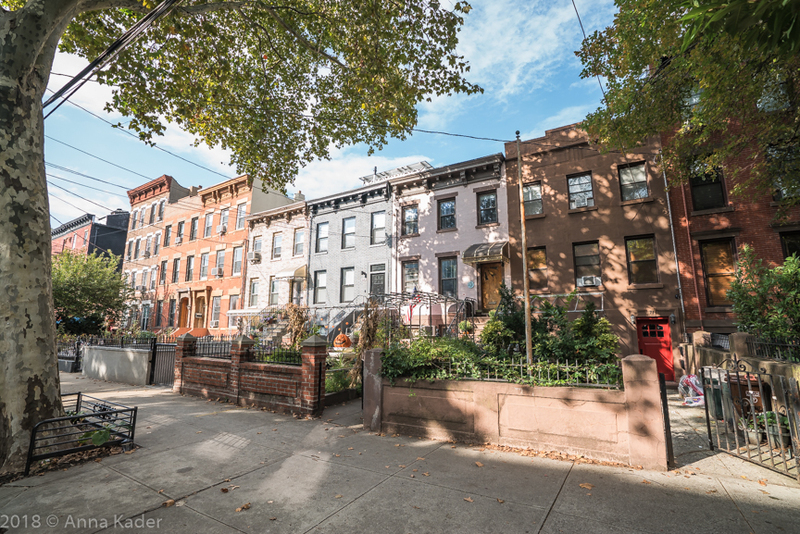 Sunset Park has many gorgeous brownstone, limestone and brick homes on tree lined blocks. Jeff Grandis, broker at Accord Real Estate Group has been selling properties in the area for 30 years. Home prices have never been higher and the residential market continues to trend up. Today’s Prospect Lefferts Gardens, Brooklyn NY is hip, historic, diverse, lively and convenient. Neighborhood borders are Ocean Avenue to the West, Empire Boulevard to the North, New York Avenue to the East and Clarkson Avenue to the South. The neighborhood has seen a boom in the construction of luxury residential apartment buildings among low-rise brick buildings and historic row houses. The major commercial corridors in Prospect Lefferts Gardens are Flatbush Avenue and Nostrand Avenue. PLG boasts beautifully preserved 19th and 20th century architecture that includes Romanesque Revival, Neo Georgian and Neo Tudor styles. Downtown Brooklyn, NY is in the Northwestern part of the borough. The street boundaries of Downtown Brooklyn are Tillary Street to the North, Ashland Place to the East, Atlantic Center and Schermerhorn Street to the South and Court Street to the West. The 2004 rezoning of Downtown Brooklyn changed the way Downtown Brooklyn would grow and grow it has, well beyond any projections. Kensington, Brooklyn NY is located in Central Brooklyn with neighborhood boundaries of Coney Island Avenue to the East, Fort Hamilton Parkway and Caton Avenue to the North, McDonald Avenue & 36th Street to the West and Foster Avenue to the South. Kensington is surrounded by Flatbush (Ditmas Park & Prospect Park South) to the East, Windsor Terrace to the North, Borough Park to the West and Midwood to the South. Park Slope, Brooklyn NY is one of Brooklyn’s gems of a neighborhood is located in Northwest Brooklyn. Neighborhood boundaries are Prospect Park and Prospect Park West to the East, 4th Avenue to the West, Flatbush Avenue to the North and the Prospect Expressway to the South. Fifth Avenue and Seventh Avenue are Park Slopes primary commercial streets. Brooklyn, NY has several wonderful waterfront neighborhoods such as Red Hook, Columbia Waterfront District, Dumbo, Fulton Ferry, Greenpoint and Williamsburg. There is only one Brooklyn neighborhood that has an ocean front fishing village with piers and a fleet of 18 privately owned fishing boats that for decades have gone out to sea daily for deep sea fishing and that neighborhood is Sheepshead Bay where I grew up! Today’s Williamsburg has an energy of innovation, youth and excitement rarely found to this extent in a Brooklyn neighborhood. As a lifelong New Yorker, Brooklynite and Real Estate Broker of 30 years you can take my word for that. Just take a walk down Bedford Avenue and you can see, feel, touch and taste the creativity coming from the restaurants, shops, café’s, the Hotels, the bars and the music venues. Step into anyone of the gorgeous new hotels in Williamsburg like the William Vale, the Mc Carren Hotel and pool or the Wythe Hotel and you will see tourists from all over the world visiting Brooklyn’s Williamsburg. Clearly, Williamsburg is one of the top destinations in NYC. Today’s Crown Heights is nothing short of magnificent, diverse, evolving and a very exciting neighborhood to live, work and play in. Crown Heights sits next to Prospect Heights to the West, Flatbush and Prospect - Lefferts Gardens to the South, Brownsville to the East and Bedford Stuyvesant to the North. Most likely if you are a Real Estate Broker or agent in Brooklyn you are familiar with laid back, village like charm of Cobble Hill. Cobble Hill is surrounded by the wonderful neighborhoods of Brooklyn Heights, Boerum Hill, Carroll Gardens and The Columbia Waterfront District. The Real Estate Market in this trendy, beautiful and historic neighborhood has seen prices rising with no end in sight to this uptrend. The Brooklyn Real Estate market continues to be vibrant across almost all property categories including single family residential, mixed-use with ground floor retail and residential apartments above the stores, commercial, vacant land, Cooperative apartments and Condominium units. Experts agree that this up trend will continue into 2018. The Multi-Family housing market in Brooklyn is no exception to this up trend for several reasons. In the always exciting and vibrant world of residential real estate in Brooklyn, NY we will cover several trends for 2018 that will have an influence on the market. Yes, we know that Brooklyn is the center of the real estate universe today in New York City and truly a global brand now more than ever before. This elegant, family friendly enclave is surrounded by the neighborhoods of Cobble Hill, Downtown Brooklyn, Park Slope and Gowanus. Boerum Hill neighborhood boundaries are generally to be considered to be Schermerhorn Street to the North, 4th Avenue to the East, Court or Smith Streets to the West and Warren or Wyckoff Streets to the South. Talk about a hot neighborhood - Bushwick, Brooklyn, NY is certainly that. 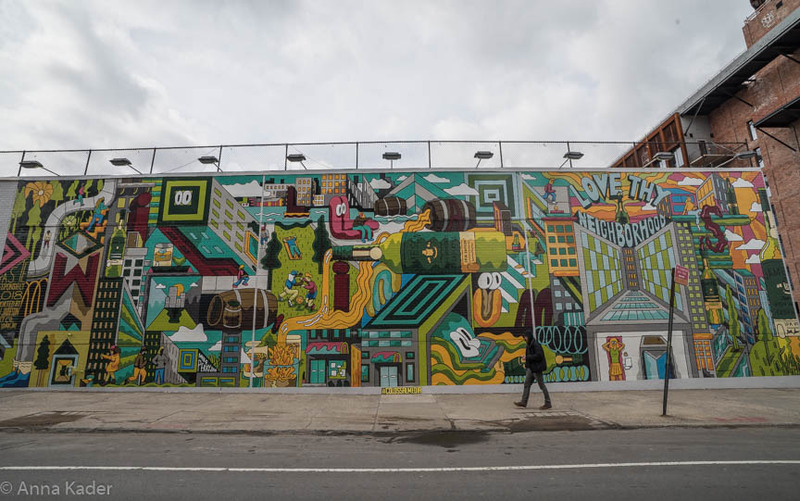 Not only are Bushwick real estate values going up, with new residential and mixed use development projects underway, but Bushwick is also home to some of the most magnificent landmarked buildings. Park Slope South, a beautiful Brooklyn New York neighborhood, is bordered by other beautiful neighborhoods of Windsor Terrace, Park Slope and Greenwood Heights. The neighborhood boundaries of Park Slope South are 4th Avenue to Prospect Park West, The Prospect Expressway or 18th Street to 9th Street. The Fulton Ferry Historic District is in fact of great historical and architectural importance. This is where Brooklyn New York began! The history of this amazing area extends from the Ferry that served it. Tragically, the opening of the Brooklyn Bridge in 1883 caused the gradual decline in ferry service and the demise of this once vibrant and important area. Yes, Nathan’s famous hot dogs are still delicious and the annual Mermaid Parade is as outrageous as ever. Yes, the Coney Island Boardwalk is still the longest and widest in the world and yes although The New York Aquarium is the oldest continually operating Aquarium in the United States, the expansion and renovation has still not been completed. The Landmark Preservation Committee has tremendous influence on Real Estate Development, building modifications in landmarked districts and landmarked buildings in non- historic districts. We usually blog about LPC reviewing and approving plans from developers whose initial plans were rejected and how developers adapt and conform their plans more closely to the contextual look and feel of other neighborhood structures to get their plans approved. Yes, you’ve heard of Bensonhurst in Brooklyn from Saturday Night Fever fame and maybe you’ve heard of Borough Park in Brooklyn. But Mapleton in Brooklyn, NY? Where is it and what will you find there? The new New York City Ferry. Wow! Brilliantly conceived, brilliantly planned but at least for now demand for The South Brooklyn Ferry Service has far outweighed the supply of ferries to accommodate the crowds of enthusiastic commuters, tourists and fun seekers. In our blogs, we like to mention who the architecture firms are designing Brooklyn’s many new projects. From one end of Brooklyn to the other, the borough remains hot with new projects being planned, completed and units selling or leasing for top market prices. A few of the latest large projects being planned and underway are for example, a 1.5 acre waterfront site at 1 Huron Street in Greenpoint. Developer Bridgewater Capital Partners are developing 180,000 square feet for a residential building. The site was purchased for $60.5M or approximately $320 per buildable square foot. This time of year, when the weather is warm and wonderful it’s a great time to marvel at a few of Brooklyn’s most spectacular new rooftop experiences. Fabulous is the best word for the 22nd floor rooftop bar and restaurant called Westlight located in the wonderful new William Vale Hotel in Williamsburg at 11 North 12th Street. The views of New York City are panoramic and magnificent. The restaurant is surrounded by a wonderful wrap around outdoor space looking out in every direction. The menu of small plates and bar offerings are original and delicious. The historic Brooklyn Navy Yard continues to be transformed from a blighted part of the Fort Greene/Brooklyn Navy yard neighborhood to an expanding, exciting business hub. Once home to our first American Navy ships in 1801 to a now daily workforce of 7,000 people. Projections are that within two years 17,000 daily workers will travel to The Navy Yard. Yes, real estate brokers and real estate agents in Brooklyn have many wonderful neighborhoods in Brooklyn to service but Sunset Park has it all. Eighth Avenue between 65th Street and 45th Street is the heart of Little Chinatown in Sunset Park. Visit this area and the streets are teeming with many different kinds of businesses, people, restaurants and many blocks of gorgeous homes. Real Estate Brokers Brooklyn have many wonderful neighborhoods that they service that have waterfront access. The lifestyle of these neighborhoods are unique. For example, Sheepshead Bay, which has Fishing and party boats docking at the piers on Emmons Avenue, along the canal, restaurants just across from the canal, miles of beaches and Kingsborough College across the canal at the tip of Manhattan Beach. From Red Hook with spectacular views of Downtown Manhattan and The Statue of Liberty to Bliss Park in Bay Ridge with sweeping views of the Manhattan Harbor to The William Vale Hotel in Williamsburg with a rooftop waterfront view spanning from Downtown Manhattan to Midtown with The Empire State Building and Chrysler buildings lit up at night in all of their glory, Brooklyn has the most amazing views of the Manhattan skyline. Some North Brooklyn ferry stops have waterfront development projects that are in close proximity to those Ferry Stops and they have fabulous views of Manhattan to offer their residents. Ferrara Brothers Gowanus Concrete Plant has an amazing history. The company was founded in 1969 using old cement mixers and they became the concrete suppliers for The Second Avenue Subway, The 9/11 Memorial and NYC Water Tunnel No. 3. Ferrara Brothers Concrete currently operates plants in Queens, Staten Island and Brooklyn. Real Estate Companies in Brooklyn and Real Estate Brokers these days are so encouraged by the incredible popularity, growth and development taking place here. There is always interesting and exciting news coming from several wonderful Brooklyn’s neighborhoods. Here is an update on what’s happening with Real Estate in Bushwick. For Brooklyn Real Estate Companies, Brooklyn Real Estate brokers and real estate enthusiasts who have been following Brooklyn Real Estate in Williamsburg, you will appreciate this blog. On December 23rd 2015 we first blogged about The Hoxton, which will be the London based companies first U.S. location. There has been tremendous progress with this project at 97 Wythe Avenue and opening is set for 2017. Realtors in Brooklyn and Real Estate Companies in Brooklyn have seen the results of the city rezoning sections of different neighborhoods. For example, Downtown Brooklyn. The last several years have seen a historic level of development of residential and commercial buildings in the neighborhood. Since 2013 Belvedere Capital, Jamestown and Angelo Gordon &Co. began remodeling and reimagining Industry City and its 30 acre complex and 6.5 million square feet of space. The 16 buildings that comprise Industry City were originally part of historic Bush Terminal. The cost of the Industry City makeover is projected to be approximately $1B. The charm and uniqueness of this Brooklyn gem of a neighborhood cannot be overstated. There are many Brooklyn real estate brokers and real estate agents who sing the praise of Bay Ridge for many reasons. Bay Ridge is in the southwest corner of Brooklyn, bounded by Sunset Park on the North, Dyker Heights on the East, the Narrows and the Belt Parkway on the West, The Fort Hamilton Army Base on the Southwest corner and the Verrazano Bridge on the South. The Fenimore Street Block Association (FSBA) is seeking to protect 21 lots on the south side of Fenimore Street, between Bedford and Rogers Avenues in Prospect Lefferts Gardens, Brooklyn. The group is against developers changing the character of their street. Hurricane Sandy proved to us how completely unprepared we were to deal with a superstorm of such magnitude that caused an estimated $32B in damages to New York. There are projections that more super storms are in our future. One year ago we blogged about Developer Hidrock Realty’s plan for a condo conversion of the Pavilion Theater on Prospect Park West in Park Slope, Brooklyn, NY. Well, it does happen, but rarely a developer switches gears on a purchased and planned for project, and Hidrock Realty facing steep local opposition to their project has sold the 1928 Pavilion Theatre to Williamsburg based Nitehawk Cinema for $28M. Hidrock purchased the Pavilion in 2006 for $16M. The new theatre will be called Nitehawk Prospect Park. There is no other place in the world like Brooklyn New York. Go pretty much anywhere in the world and when people ask you where do you live and you say Brooklyn NY, their response is mostly Wow or Ah Ha Wow! Cammeby’s International Group is underway with two new projects in Southern Brooklyn, NY. Greenwood Heights is sandwiched in between Park Slope and Sunset Park. The neighborhood boundaries here are 39th Street to the South, The Prospect Expressway to the North, 8th Avenue to the East and The Gowanus Canal to the West. Greenwood Heights has excellent walkability as do many wonderful Brooklyn neighborhoods with many bus, subway and car travel options going into Manhattan. Many of Brooklyn’s wonderful neighborhoods are booming. Property values are rising, new developments are everywhere and young professionals are transforming our borough like never before. One key factor in the growth and popularity of Brooklyn as a place to live, work, raise a family and find endless cultural and culinary options is walkability. As mentioned in our April 15th blog on the latest Coney Island development projects, to be continued. Over the last 10+ years many young families have come to recognize the charm of a jewel of a neighborhood in Brooklyn called Windsor Terrace. Real estate prices have steadily climbed upward, but are still considered lower than nearby Park Slope. You can find a studio coop apartment in Windsor Terrace for around $250,000, a limestone or brick townhouse in the $1.5M to $1.8M price range, or a mixed use (storefront with residential apartments above) building for approximately $2M. Jehovah’s Witness Reach Deal on the sale of their Headquarters Building in Brooklyn Heights, Brooklyn. In December 2015, Jared Kushner and RFK purchased several buildings in Dumbo from the Jehovah’s Witnesses for $375M. There is now a “handshake” agreement in place for Kushner, Aby Rosen and LIVWRK to purchase the Witness’s 733,000 square foot Headquarters building at 25-30 Columbia Heights and their 1.1 square foot development site at 85 Jay Street. The sale price for the two properties is in the $700M range. In every direction that you face in Metrotech, Downtown Brooklyn there is a new project either breaking ground, already completed or being planned. The explosion in development in commercial, residential and mixed use buildings in this amazing Brooklyn neighborhood is truly exciting. Seven projects competed for the award for Excellence in Development that is given by the Urban Land Institute (ULI) each year. ULI began the Awards for Excellence program in 1979 with the objective of recognizing truly superior development efforts including full development process of a project, not just its architecture or design. A small percentage of new projects going up in Gowanus have been for Industrial use buildings. A majority of the projects planned or under way have been for residential buildings. Greenpoint is becoming a first choice for hipsters and young professionals to live in. The vibe of the Greenpoint neighborhood is hip yet much more low key than Williamsburg. In particular the waterfront area, centered around West Street currently has an abundance of new projects in the works. 50 Greenpoint Avenue, where a 7 story, 44 unit apartment building is planned. The architect is Karl Ficher. On April 21st of 2015 we blogged about the proposed rezoning of East New York / Cypress Hills in an effort by City government to revitalize this Brooklyn NY neighborhood. Approximately a decade ago New York City created 16 Industrial Business Zones (IBZ) across the City for industrial and manufacturing businesses, a few of them located in Brooklyn’s Neighborhoods such as Williamsburg, Green Point, Brooklyn Navy Yard, East New York, North Brooklyn, SouthWest Brooklyn and Flatlands/Fairfield. For real estate companies in Brooklyn, real estate brokers and real estate agents in Brooklyn following the Jehovah’s Witnesses selloff of their Brooklyn Heights and Dumbo properties, this blog will be informative. In February of 2014 we blogged about RFK and Kushner Cos. $375M purchase of several buildings in Dumbo from the Jehovah Witnesses. The buildings are located at 117 Adams Street, 55 Prospect Street, 81 Prospect Street, 77 Sands Street and 175 Pearl Street. In July of 2014 we blogged about the Jehovah Witnesses sale of the Bossert Hotel located at 98 Montague Street in Brooklyn Heights for $81M. The buyers are David Bistricer and Joseph Chetrit. For all real estate companies in Brooklyn as well as real estate brokers and real estate agents in Brooklyn who are following or have an interest in the Hotel Industry in Brooklyn, this blog will be informative. Attention real estate companies in Brooklyn and real estate agents in Brooklyn servicing the Prospect Heights neighborhood. Slate Property Group has purchased the former Green Point Savings Bank located at 856 Washington Avenue between Lincoln Place and Eastern Parkway. The purchase price for the property was $6,500,000. A 14 story condominium building is planned for the site. To all real estate agents in Brooklyn and all real estate companies that have been keeping tabs on this saga. An interesting bit of news for Real Estate companies and Real Estate agents in Brooklyn. Fodor’s Travel which covers over 7,500 destinations around the world has just come out with it’s newest guidebook Fodor’s Brooklyn! Here is an update for real estate companies and real estate agents in Brooklyn following the latest news in Brooklyn Heights. Developer Hudson Companies has paid $52M for the Brooklyn Heights Public Library building located at 280 Cadman Plaza West. With all of the busy Real Estate Companies in Brooklyn as well as all of the busy Real Estate Agents in Brooklyn, where do we go to do food shopping? There is an alternative to Fairway and Whole Foods Markets when it comes to fresh, high quality and reasonably priced food. To all great Brokers and Agents in Brooklyn Real Estate, be aware of this latest news about Brooklyn. The Center For Fiction is relocating from their building located in Midtown Manhattan at 17 East 47th Street to 280 Ashland Place, a mixed use development in the heart of Brooklyn’s Cultural District. The best in design creativity inspired by Brooklyn will be on display this weekend in Dumbo at St. Ann’s Warehouse and Mark Jupiter’s on Friday, Saturday and Sunday. This best and latest in Contemporary furnishings, lighting and home design event should bring out thousands of design enthusiasts as well as Brooklyn’s best brokers and top agents. Many Brooklyn real estate companies and their agents are familiar with the magnificent Brownstone homes in the historic districts of Brooklyn Heights, Crown Heights North and Prospect- Lefferts Gardens. 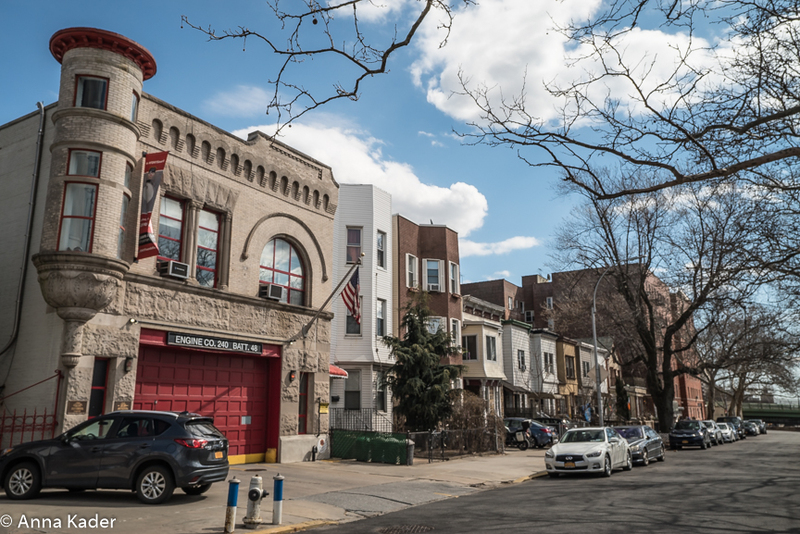 The New York City Landmarks Preservation Commission will most likely at some point in time designate several wonderful streets in Sunset Park as a historic district. Thor Equities is a development firm which many real estate agents and real estate companies in Manhattan and Brooklyn are familiar with. Thor Equities owner Joseph Sitt is creating an outdoor museum on Stillwell Avenue and The Bowery, one of Coney Islands main walkways. Brooklyn's New York Marriott Hotel wants to stay on top and undergoing a total renovation. The hotel was opened in 1998 in Downtown Brooklyn at the Brooklyn Bridge when there was the only full service hotel in Downtown Brooklyn at the time. Through the years The Marriott has held several conferences for real estate agents representing many of Brooklyn’s real estate companies. Since I’ve been a real estate broker in Brooklyn for over 27 years, I’ve had the opportunity to explore many of Brooklyn’s incredible neighborhoods, her second to none housing stock, magnificent architecture and a wonderful diversity of festivals and goings on. As a real estate broker and lifelong resident of Brooklyn, I occasionally like to write a blog about Brooklyn neighborhoods, food and Brooklyn Commercial Real Estate news. Brooklynites, whether newcomers or lifelong residents can all agree that when it comes to food, there is no better place for great quality and more diversity of cuisines in so many restaurants as we have in Brooklyn, NY. The latest push to establish several more blocks of Crown Heights North as a historic district is taking place now. 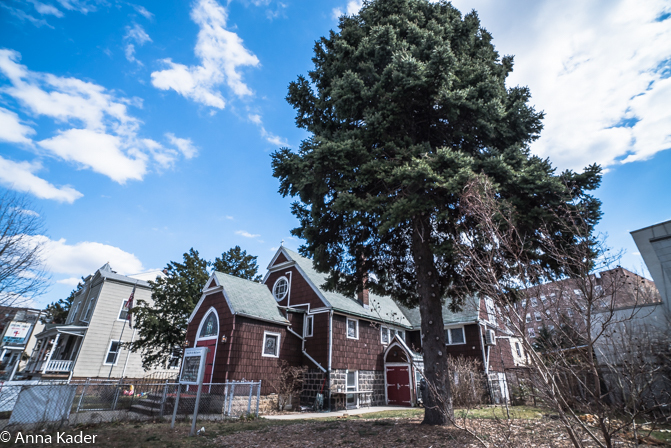 The Landmarks Preservation Commission proposed in Phase III to designate 600+ homes as another part of a historic district that already exists. There are two other sections of Crown Heights North that have already been designated historic districts. Had a rough week at work? Need to clear your mind and have some quality downtime? The perfect prescription for you is a weekend trip to Sheepshead Bay, a neighborhood with it's own fishing village and a stop off at nearby Brighton Beach, where you will find the world famous boardwalk along the beach and ocean. Much to the delight of real estate agents and brokers in Brooklyn who service Prospect - Lefferts Gardens, this wonderful Brooklyn neighborhood has a lot going for it. For example, the housing stock of well maintained brick and limestone, Romanesque, Colonial and Tudor Revival style homes is fantastic. 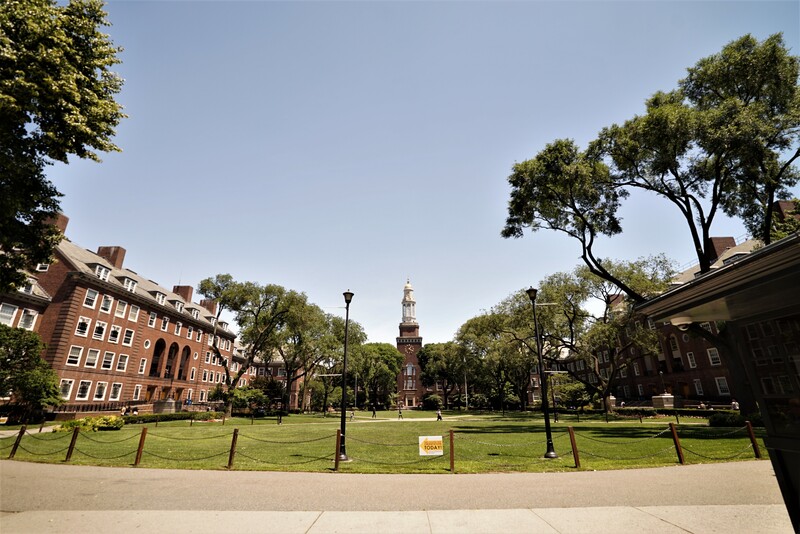 The Packer Collegiate Institute, located at 170 Joralemon Street in Brooklyn Heights is in contract to purchase the retail property located at 100 Clinton Street at the corner of Clinton Street and Remsen Street. The 12,000 square foot Clinton Street building will be home to Packer's Preschool and Kindergarten program beginning in the Fall of 2017. The much beloved Dumbo Arts Festival, in it's 18th year, took place on the weekend of September 26th through the 28th. This year's festival showcased local artists as well as artists from around the world. 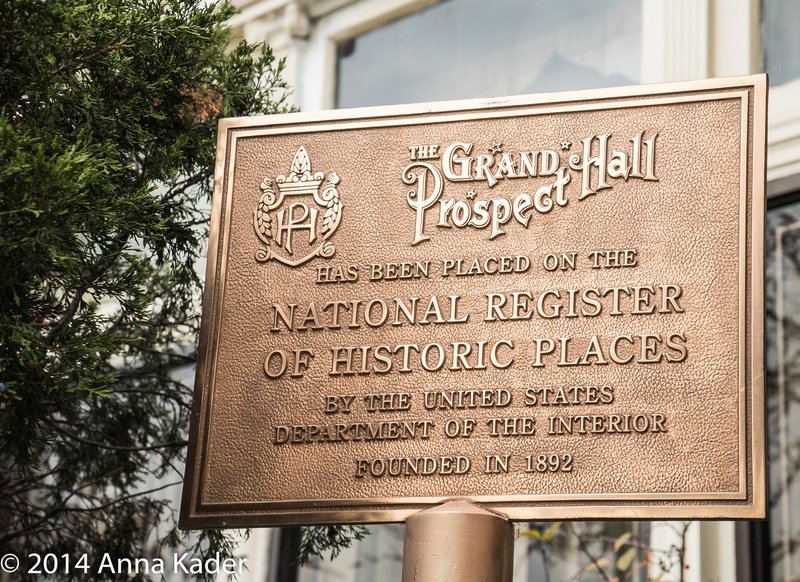 The Grand Prospect Hall in Park Slope, is truly one of the crown jewels of Brooklyn's historic places to visit like the Brooklyn Academy of Music, The Brooklyn Botanic Garden and The Brooklyn Museum. Zombies arrived in Brooklyn, just in time for Halloween 2014! 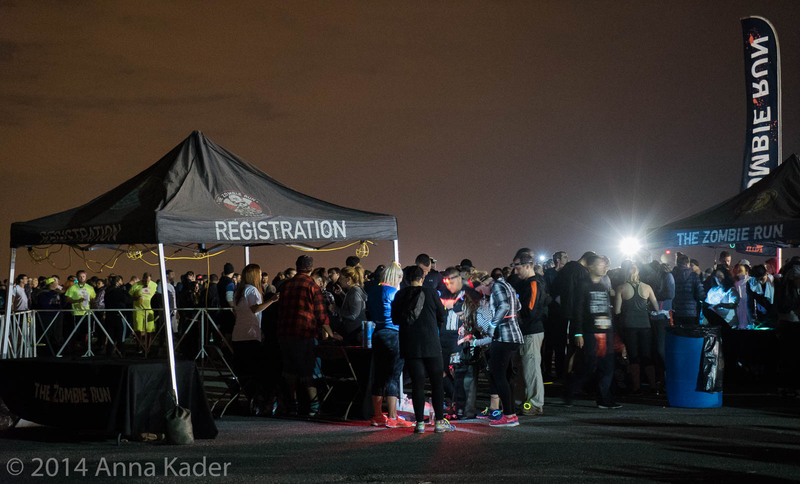 A Run For Your Lives, 5K Zombie Run event was held on October 25th at Floyd Bennett Field in Brooklyn. Event creators Ryan Hogan and Derrick Smith came up with the slogan before they came up with the event to go with it. 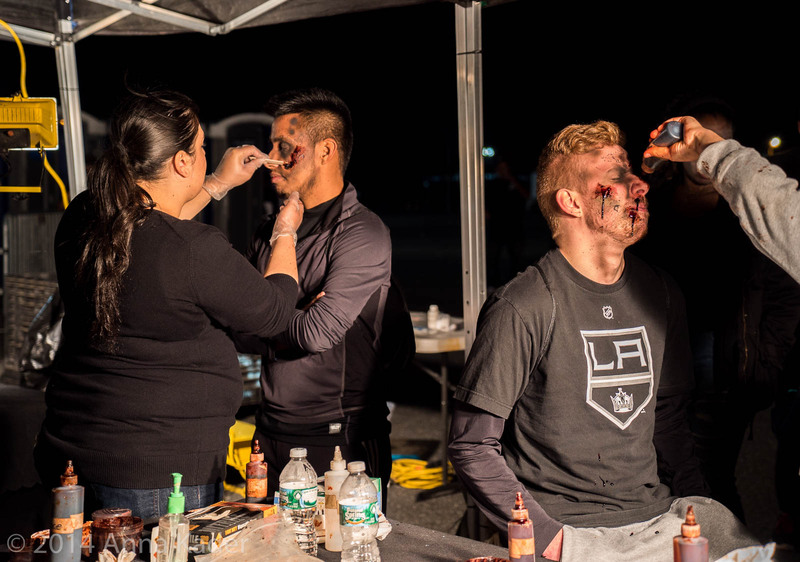 There was a zombie transformation process which included makeup, bloodiness and shredded clothes. Both zombie and non zombie participants run a muddy track with hurdles, rope ladders, water slides and other obstacles. Eventually run participants arrived at a safe zone called the Apocalypse, where there was drinking, dancing and plenty of partying going on to celebrate Halloween! East New York in Brooklyn is the focus of a revitalization effort by Mayor Bill Di Blasio and his administration. A big step towards the mayor’s goal to create affordable housing in New York is that recently ground has been broken on Livonia Commons, phase one of a multi phase project that will eventually, when complete create 791 units of affordable housing. Every year, Brooklynites in different neighborhoods across the borough organize an amazing array of festivals and street fairs. The Cranberry Street Fair, a Northern Brooklyn Heights celebration of the coming of autumn has been going on for the past 35 years. Organized by John and Richanda Rhoden, according to Ms. Rhoden "part of the charm is the fair's small size, it's so human and we don't want it to get bigger". Brooklyn is a wonderfully historic, architecturally and culturally diverse borough and is home to the magnificent, 175 year old Greenwood Cemetery sandwiched in between the neighborhoods of Sunset Park and Greenwood Heights. 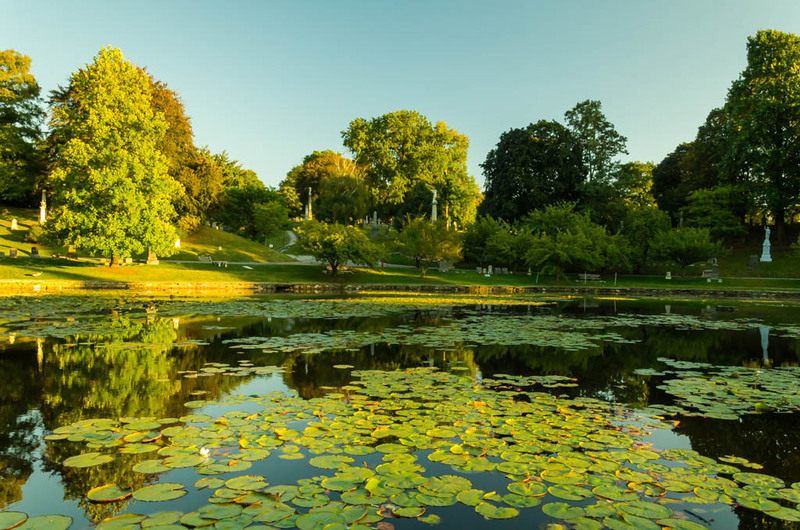 The Cemetery is 478 acres in size and is New York City's oldest natural landscape. The Loew's Kings Theatre located at 1027 Flatbush Avenue in Brooklyn NY has been undergoing a meticulous, museum standard $94 Million restoration. The magnificently ornate 3,200 seat venue is being restored to it's original condition which will include a magnificent staircase to the mezzanine, 80 foot ceilings, period details from the guilded age of the 1920's when the theatre was originally built, a modern backstage area for dressing rooms and set storage as well as a two truck loading dock and much, much more. Dixon Advisory USA (an Australian yet N.J. based Investment Company) has a different plan for the storefronts at 132 Kane St. and 6-8 Cheever Place in the historic district of Cobble Hill. They are converting two retail storefronts into two residences for rent. According to Carol Santana, Dixon's building code and permit manager they do not do commercial leasing. Asking rents have not been decided yet. The Landmarks and Preservation Commission has proposed a plan for the storefronts restoration. At the moment both stores have graffiti, plastic and plywood on them. Real Estate brokers and agents marketing and selling properties in Downtown Brooklyn will be happy to know about a great new outdoor amenity coming to the neighborhood. Brooklyn Strand is what mayor Bill Di Blasio is calling 21 acres of underused green space stretching from Borough Hall to Brooklyn Bridge Park. It will be a "spiffy" new park according to Mr. Di Blasio. The Strand includes Columbus Park (adjacent to Borough Hall), Cadman Plaza Park (to its North containing the War Memorial), Walt Whitman Park (on the other side of Cadman Plaza East, including the Office of Emergency Management building), the Korean Veterans Plaza and several empty municipal lots and lawns. Clinton Hill Brooklyn is a neighborhood that is not only situated at one of the highest points in the borough, but is flying high with charm, sophistication and an incredible diversity of people, restaurants and things to do. Clinton Hill is home to The Pratt Institute, located at 200 Willoughby Avenue. Carroll Gardens, Brooklyn NY was always a low key, lovely and quiet neighborhood that has many charms but did not have the allure of Cobble Hill or Park Slope. The Carroll Gardens boundaries are Degraw Street to the North, Hamilton Avenue to the South, Hicks Street to the East and Bond Street to the West. Carroll Gardens today has become a neighborhood of young urban professionals and young families. Kensington Brooklyn New York is a neighborhood known for its diversity with residents from dozens of countries and where at least 20 languages are spoken. Today, Kensington is becoming popular with young professionals for the simple reason that it is one of the last affordable neighborhoods before you get to Windsor Terrace, Park Slope and Cobble Hill. In recent blogs we have focused on real estate in some of the more high profile, hot neighborhoods in Brooklyn New York such as Fort Greene, Downtown Brooklyn, Dumbo, Bedford Stuyvesant, Clinton Hill, Prospect Heights etc... With the popularity of neighborhoods near Prospect Park, Prospect Lefferts Gardens is being recognized as a great neighborhood to live in. A much more reasonably priced alternative to Park Slope on the other side of Prospect Park, Prospect Lefferts Gardens real estate has gotten the attention of Investor/ Developers as well as first time home buyers. One of the topics that we write blogs about is the evolution, emergence, sometimes reemergence and transformation of various Brooklyn neighborhoods. On July 18th we focused on the emergence and forward progress of Brooklyn's Tech Triangle which encompasses the neighborhoods of Brooklyn Heights, The Brooklyn Navy Yard and Dumbo. On May 10th we touched on the Future of Fort Greene/Downtown Brooklyn. Today's blog is a continuation from that May10th Blog and is an update of specifically The BAM Cultural District a mini neighborhood whose boundaries consist of Flatbush Avenue, Fulton and South Oxford Streets and Hanson Place. We frequently blog about Real Estate news in Brooklyn's wonderful neighborhoods and the lifestyles that people enjoy in those neighborhoods. This blog is devoted to some of many Brooklyn's neighborhoods such as Sunset Park, Homecrest, Coney Island, Midwood and Bensonhurst that are a treasure trove of amazing restaurants from one end of the borough to the other to be experienced. Sunset Park is one such neighborhood. Spend the day or choose to stay. We recommend that you visit the Red Hook neighborhood in Brooklyn, New York and spend the day shopping, relaxing and having fun. A little bit out of the way via public transportation, but easily accessible by car or New York Water Front Taxi. Red Hook is one of Brooklyn's most historic and interesting waterfront neighborhoods. 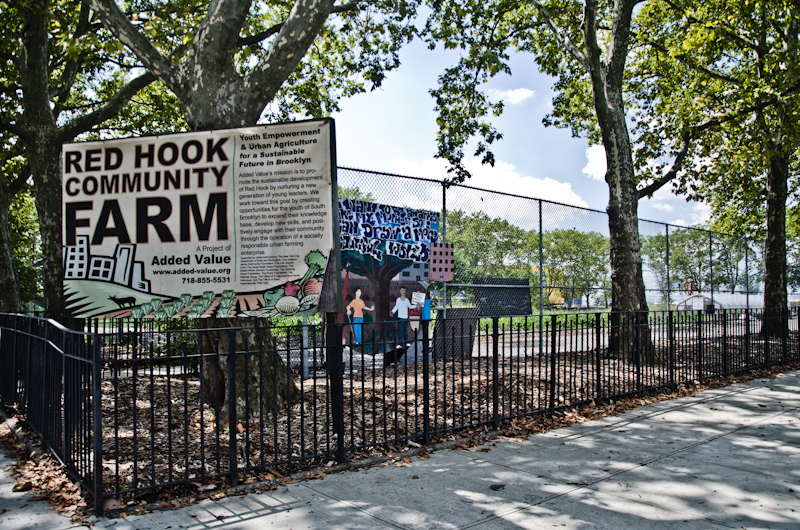 At the intersection of Columbia Street and Sigourney Street lies Old Todd Memorial Park, which is now home to Red Hook Community Farm, an agricultural oasis in Brooklyn. On May 4th of this year we posted our blog Historic and New Brooklyn NY Parks where we glowingly praised Prospect Park for its beauty and diversity of activities available to the public and Brooklyn Bridge Park for it's amazing location, innovative landscape design, neighborhood restaurant choices and the many ways to enjoy the park. We have just learned and are happy to share the news that Toll Brother's City Living and Starwood Capital Group have been approved for a joint venture to develop an approximately 550,000 square foot luxury hotel complex on the upland of Pier 1 in Brooklyn Bridge Park. How lucky can Brooklyn residents get? There are several outstanding, historic and one still under construction, but amazing and very worth seeing park in Brooklyn New York today. Let's start with Prospect Park, which was designed by Frederick Law Olmsted and Calvert Vaux after they completed Manhattan's Central Park in Manhattan. Prospect Park has an amazing bicycle path that twists and turns all through the park. This path is a bike riders dream and bicyclists can be seen year round riding through the park's wonderful bike path. There are pastures and lakes and an amazing abundance of gorgeous trees throughout the park. There are many events, cultural and otherwise held in Prospect Park, especially in The Spring and Summer time such as Bird watching, The Greenmarket, Dog events, Craft activities, Googa Mooga festival - a celebration of food and music on May 20th, The Food Truck Rally (a favorite of many) on May 28th, The Rhythm Revue Jazz and R&B concert June 25th and much much more! Had a rough week? Looking to pamper yourself, explore an amazing Brooklyn Neighborhood, be entertained by world class, cutting edge artists, dine on scrumptious and healthy food? Well according to Jeff Grandis Broker Co- Owner of Accord Real Estate Group, a licensed Real Estate Broker, Boerum Hill fits the bill just fine. Boerum Hill is easy to get to via the subway, with the F and G trains stopping at Carroll Street and Smith Street. What you can expect when you arrive is a treat for all of your senses. Smith Street, an incredible main street in this neighborhood, is lined with some of Brooklyn's finest restaurants such as Wild Ginger located at 112 Smith Street. Wild Ginger serves a wonderful Pan Asian cuisine. The ambiance is soothing and lovely. Take a table in the rear for more privacy. You may want to try the seaweed salad, ginger pumpkin soup and for the main course the Malaysian Curry Stew is out of this world! The deserts are equally as delicious. You should try the peanut mouse chocolate cake. The vibrant and diversified Brooklyn Real Estate Market is not a recession proof market. Experts and everyday people agree that the poor condition of the economy has had a dramatic effect on the housing market. The Brooklyn Real Estate Market has experienced a downturn in property values for some time now as well as in other US cities. Some homeowners who can no longer meet their monthly mortgage payments for an extended period of time because of hardship, i.e. due to job losses or reduced income, medical emergency, etc. face the possibility of their property going into foreclosure, where the bank takes back the property to be sold. Whether you are searching for a reputable and reliable Brooklyn realtor to give you an accurate opinion of your home's value in today's market and to assist you with the sale of your property or if you are planning to purchase a house, commercial property, mixed use building, vacant land to develop, a condominium, a co-op apartment or a multi family property Jeffgrandis.com might be your #1 web destination on the internet. We have in our company inventory real estate listings that have good value for what they are, where they are and for the kind of market that we are currently in. For example, we are now offering 2 parcels of vacant land at a very reasonable price with great zoning for development in Clinton Hill, a very desirable and up and coming Brooklyn neighborhood. Also in our inventory of properties for sale is a large brick vacant 4 family house with good income potential at a very reasonable price located in East Flatbush. This property is perfect for a handy, do it your self investor looking for a low risk high return first investment property or an investor with a large portfolio of properties. We also have several listings of great values in co-op apartments for sale. One apartment is completely renovated and 2 blocks from the beach in Brighton Beach. With its amazing choice of neighborhoods and lifestyles, shopping and transportation conveniences, majestic parks, a rich diversity of architectural styles, world class entertainment and dining choices Brooklyn NY real estate has become the number one choice for home buyers, business owners and investors to buy real estate properties. At Accord Real Estate Group we are proud of our long standing track record of excellent results in representing sellers and assisting buyers with their sale or purchase of Brooklyn New York real estate. From Sheepshead Bay to Bensonhurst, from Dyker Heights to Sunset Park, from Brooklyn Heights to Windsor Terrace, from Manhattan Beach to BoCoCa and many other Brooklyn neighborhoods, we at Accord Real Estate Group know Brooklyn NY real estate and we know that you deserve only the finest personal attention from experienced real estate brokers and agents when you are planning to sell or to purchase a property. If you are planning to sell real estate in Brooklyn New York you can rely on us to bring you the best price possible in today's market. If you are planning to buy real estate in Brooklyn NY for the 1st time, shopping for a Brownstone, Co-op, Condominium, Brooklyn Townhouse or if you are an experienced investor looking for a multi family, mixed use or commercial property or if you are a business owner, looking for a building to set up your business, we listen very carefully to your needs and expectations to find just the right property for you. In addition to our brokers and agents we are working with a wide range of professionals, who can assist you with every aspect of preparing to sell or to purchase real estate properties in Brooklyn NY including cleaning out and cleaning up a property in preparation to sell, staging and making necessary renovations to make the best 1st impression when showing your property, real estate attorneys, movers, mortgage brokers etc. Residential property sales for the first quarter of 2010 showed bright spots in several Brooklyn neighborhoods, based on the business transactions made through the efforts of Accord Real Estate Group. For example, a detached brick two family house in Sheepshead Bay, sold in one week at full price, and there were many other interested, qualified buyers in need of a good house. Another example is a brick 3 family house in Bensonhurst, that sold relatively quickly at close to asking price and again there were many other qualified buyers interested in this house. Still another example of a Brooklyn neighborhood bright spot is a handyman's special brick 3 family house in Ft Greene. The house is located just 2 blocks from Fort Greene Park on the Myrtle Avenue side of the park and it was sold relatively quickly for a great price considering the amount of work needed to bring the house up to good condition. These sales, in my opinion as a Brooklyn Real Estate Broker, are a direct indication that the Brooklyn Real Estate Market is improving. The Brooklyn Real Estate market in 2009 was a year that most if not all brokers, agents and realtors are glad is behind us. As a broker for 22 years selling Brooklyn Real Estate in many Brooklyn neighborhoods, I've seen in the last year that few Brooklyn neighborhoods saw any price increases in property values. For most Brooklyn neighborhoods, since we have been in a downward trend price wise, for the last 3-4 years prices remain at the lowest level since last real estate boom. While the 2010 Brooklyn Real Estate Market is expected to bring an improvement in sales volume, meaning, there will be more people selling and buying properties, I do not foresee an increase in property values yet and commercial property sales will still be slowed. Most mixed use and commercial properties will be difficult to sell in this overly cautious lending environment and slow business forecasts. Jeff Grandis, a Brooklyn Realtor for 22 years points out that across the spectrum of properties for sale in Brooklyn New York today, whether Commercial, Residential or Mixed Use, buyers are out there shopping for values and buying. For example, whether it is a 1,300 Square Foot 3 bedroom 2 bath Luxury Condominium in Brighton Beach for sale at $535,000 or a one family 3 bedroom 2 bath duplex home for sale in Midwood for $450,000, or an extra large 2 family 3 bedroom over 2 bedroom house for sale in Sheepshead Bay for $689,000,or a mixed use building with one store and one 2 bedroom apartment for sale in Flatbush for $499,000 there is plenty of activity from qualified buyers and deals are being made. Grandis further points out that there are so many all cash investors out there hunting for deals and finding them at all price levels and property types. Now is truly a great time to buy. Even with the economy in a shambles and so much uncertainty and insecurity that exists in many peoples minds about what direction to turn in for a safe investment, Brooklyn Real Estate is still a solid choice for the long run. In the Real Estate Brokerage business having a great team behind you is crucial to one's success in properly and professionally servicing clients and customers. Jeff Grandis, a Real Estate Broker/Owner at Accord Real Estate Group has the good fortune of being the leader of a great team. The most important member of Jeff's team is Anna Kader, a Real Estate Broker and co-owner of the company. She is an incredibly bright, focused, professional and thoroughly pleasant person. Anna, originally from Russia, has been in the United States for over 20 years. A former A.V.P for Citibank, Anna has a very strong technical computer background as well as a strong background in customer service. In the Real Estate Brokerage business for over 7 years, earning her Real Estate Broker's license Anna has an unusually strong knowledge and passion for real estate. Anna and Jeff work very carefully and thoroughly in researching prices and trends in sales of Brooklyn properties to give their clients the most up to date and accurate information to base their pricing decisions on. A strong exposure for the properties always increases the odds of getting more showings to qualified buyers and in return more opportunities to receive written bona fide offers. Anna's strong computer background benefits our clients dramatically. She posts our client's properties on multiple websites popular on the major Search Engines, including Jeffgrandis.com to maximize the exposure to the marketplace. Dining out in Bay Ridge Brooklyn New York. Brooklyn New York has a stunning array of great restaurants! If Italian food is your favorite and it is definitely mine I highly recommend “The New Corner' restaurant on 72nd street in Bay Ridge Brooklyn NY. Moderately priced and consistently great food, the following are some dishes that I highly recommend. Start out with the combo seafood salad & chef salad, it is to die for.If you are really hungry also go for the Zuppa di Clams or Mussels in a red sauce. The herbs and fresh sautéed garlic make it a real winner.For your main dish, whether you choose a traditional Veal Cutlet Parmigiana, Veal Chop alla Chef or Lobster Fra Diavolo with linguine, or you choose anything else on the menuit will be a great meal. If you still have room for dessert the Profiteroles with ice cream, Ricotta Cheese cake (the Italian version) are a home run. According to Jeff of Accordrealestategroup.com “ Smith Street has a high concentration of many different restaurants and cuisines”. Jeff goes on to say “ probably the best selection of restaurants in all of Brooklyn can be found in BOCOCA – ( Boerum Hill, Cobble Hill and Carroll Gardens ). One of the best restaurants in the area is Cubana Café located at 272 Smith Street, between Sackett and DeGraw Street. If you like to drink Mojitos, then this is the place for you. The mojitos here are the real thing with all fresh ingredients and made to perfection. The atmosphere is lively and always festive with Great Cuban music playing, Steve, the owner, greets you like family and absolutely great food, priced moderately.